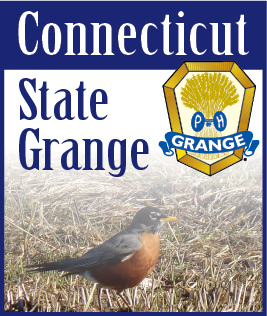 "The Grange means WORK - WORK - and more WORK. I work to keep the Grange growing - finding new members and keeping our Junior Grangers active. I like my work because I get a terrific paycheck - Friends and doing this job with a smile I get a bonus Helping Hands. Where else could you get a job like this? What a Job! What a paycheck! Friends and helping hands. That's what the Grange means to me." Mark your calendar. The 95th Annual North East Grange Lecturer's Conference will be held August 2 - 5, 2010, at Vermont Tech, Randolph Center, Vermont. The directions are easy - right up I91 to I89. You take exit 4 and go right and are less than a mile from the school. I will be making a trip to the school in May for a Lecturers meeting and can get answers to any questions you have. I will also be getting the answers to questions discussed at our last meeting in a few days and will include all the information in the March-April newsletter. Both our new National Lecturer, Pete Pompper, and National Leadership Membership Director, Rusty Hunt have been invited to attend. Each will be doing two workshops with the schedule arranged so that everyone will be able to attend at least one of their workshops and get to know them. The theme of the Conference is "A Vacation to...." We will visit The Golden Gate, Nevada, Alaska, The Thousand Islands, North Dakota, Florida and Connecticut's program will be on Texas. As always I need your help. Remember this is your program. Connecticut always works so well together that I know I can count on you. I hope to be able to see you around the State real soon.